Cresco Labs develops professional-grade cannabis products, with brands (Cresco, Remedi, Reserve, and Mindy’s Edibles, an infused edible line with James Beard Award–winning chef Mindy Segal) that offer a full suite of products including flower, edibles, vape pens/cartridges, and multiple forms of extracts catering to all consumers. Everyone likes to say “this is the next big industry,” and they’re right. But cannabis is altogether different, too. This industry is regulated by rules state-by-state that are always changing. Knowledge from the dot-com boom, tobacco, or spirit industry doesn’t necessarily translate to this industry. Similarly, many people like to compare the cannabis industry to consumer-packaged goods and, while there are parallels, there are many differences--obvious and otherwise. Recreational or not, the medical benefits of cannabis put this industry on a whole new playing field where pleasure and wellness meet. Cresco Labs has worked diligently to ensure that people are aware of the medical cannabis programs in each state. We call the campaign “State of Relief”--and it’s an effort to ensure that people are aware that medical cannabis is an option for relief if they are suffering. It’s not a product push, but rather a call to reconsider wellness. The creative for this campaign recently won multiple national and international creative awards. Most recently, we have focused our efforts on the opioid crisis, to get people to reconsider their opioid prescriptions and instead consider cannabis for their medicine. Our biggest opportunity is always our biggest challenge. This industry and this company is growing at such an extraordinary rate. We have to ensure that we are nimble enough to take on new projects and adapt to changing rules while also building in enough procedure and standards of operation that we can scale efficiently and effectively. It’s every entrepreneurial company’s dream--building a team and a company that is both ironclad and flexible. Hiring exceptional talent with a passion for growth has allowed us to stay on top of each opportunity as it has come along. Anyone who finds themselves in the cannabis industry has a sense of entrepreneurial spirit. Everyone is curious, self-motivated, and willing to put themselves on the front lines of the industry and be stewards for the larger mission we’re trying to accomplish. It’s wonderful to be surrounded by these kinds of people. 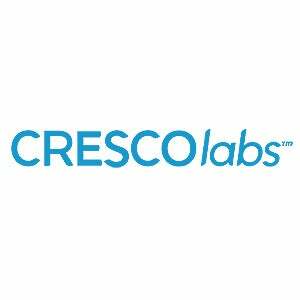 Cresco Labs has also enjoyed partnering with other cannabis companies to bring maturation and movement to the industry by meeting with legislators, forming industry groups, and educating the public. The change I have seen as a result of our collective work has been the most rewarding aspect. Having spent time inside the cannabis industry for nearly five years, we are truly inspired by the ingenuity of the other companies participating. Cannabis is more professional than the average onlooker could ever expect--there are real business minds at work. From coast to coast, we see companies take on very different shapes and sizes; from mom-and-pop local grow operations, to companies with a very medical stance, to companies that have become beautiful lifestyle brands. The way other companies educate the public and market themselves is inspiring and very motivating. We’re setting the bar for each other.